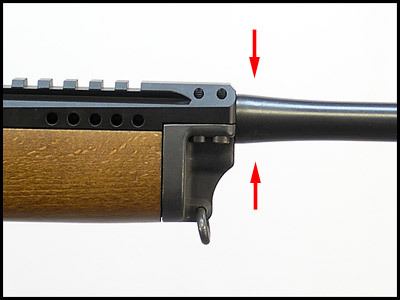 (Model# M4-S) Clamps directly to barrel for maximum stability and accuracy. Enables use of Intermediate Eye Relief (IER) telescopes, reflex sights, and holographic weapon sights. Comes complete with screws, clamp, Allen wrenches, and easy instructions. No gunsmithing or alterations required. Requires factory standard barrel profile. Must be used with tip-on optic/rings. Also fits Mini-30s, from early production to present, as well as current production Minis in 6.8 and 300BLK. Fits Mini-14s made since circa 2008. CNC machined from 2024 aluminum billet. Forward, low mounting configuration with the enhanced versatility of a standard mounting rail. 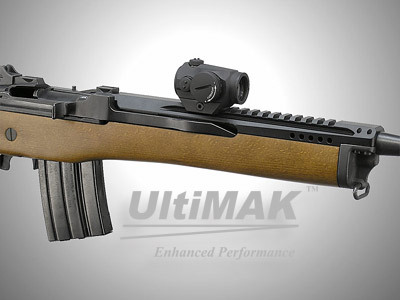 Since the M4-S clamps directly to the barrel and does not interface with the stock in any way, it fits with any aftermarket Mini-14 stock we know-- wood or synthetic, fixed, collapsible, or folding. 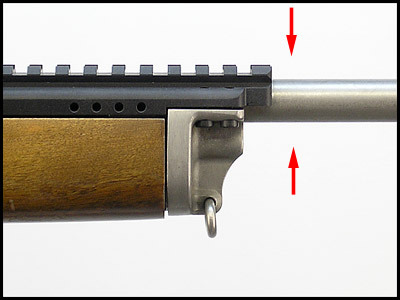 This setup will typically not allow co witnessing due to the rifle's lower iron sight axis.